Stay with us 3 nights or more and we offer discount rate. 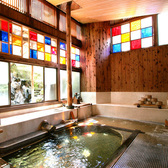 By booking a stay of more than 3 nights,We offer you a discount rate on the price.Enjoy Nozawa holiday. Minimum 3 nights stay is required. Best location for the skiing and sightseeing!! If you change your stay shorter, The money once paid will not be refunded under any circumstances. Japanese style twin room with bath, toilet. Enjoy a very special traditional, seasonal Japanese dinner and breakfast. For dinner you will be served our genuine Japanese-style 'Kaiseki' cuisine and for breakfast you'll be served Japanese-style healthy breakfast. Chef Saito has created a Kaiseki dinner menu showcasing the unique flavours of seasons with the best in seasonal local produce. This original Kaiseki dinner uses seasonal local ingredients and includes local specialities called "Torimawashibachi." Breakfast: Japanese style healthy breakfast Boiled rice,Miso-soup,egg,pickles(Japanese style salted flavor = "Tsukemono"),grilled fish,salad,tea etc. •The latest possible start time for the dinner is 6:30 p.m., Refunds cannot be issued for missed dinners. Check-in is available until 9 p.m (no dinner). Checking in later than this (without notice) is not possible and may result in cancelled reservations without refund. After spending a relaxing evening with us in one of our Japanese style guest rooms, why not have some breakfast in our restaurant with the Bed & Breakfast package. Enjoy a freshly prepared breakfast for you. You can enjoy Japanese style breakfast. A great way to start your day off before taking part in all that Nozawaonsen has to offer. Boiled rice,Miso-soup,egg,pickles(Japanese style salted flavor = "Tsukemono"),grilled fish,salad,green tea ,etc. Spending a relaxing evening with us in one of our Japanese style guest rooms. This rate is not including any meal.Please pass slowly freewheelingly during stay. Chose your desired room type. Stay with us 5 nights or more and we offer discount rate. By booking a stay of more than 5 nights,We offer you a discount rate on the price.Enjoy Nozawa holiday. Minimum 5 nights stay is required. Tap the date a d set the check-in date.